The subjects occupy a prominent location within Birkenshaw Trading Estate and are currently let as a single unit. The unit can be subdivided providing flexible accommodation of between 3,800 sq.ft and 27,300 sq.ft. The subjects are located within Birkenshaw Trading Estate, approximately 8 miles east of Glasgow City Centre and 1.5 miles north of Uddingston town centre. The Trading Estate has the benefit of excellent communication links with the M8 and M73/M74 motorways with easy access to the wider Glasgow conurbation and Lanarkshire. 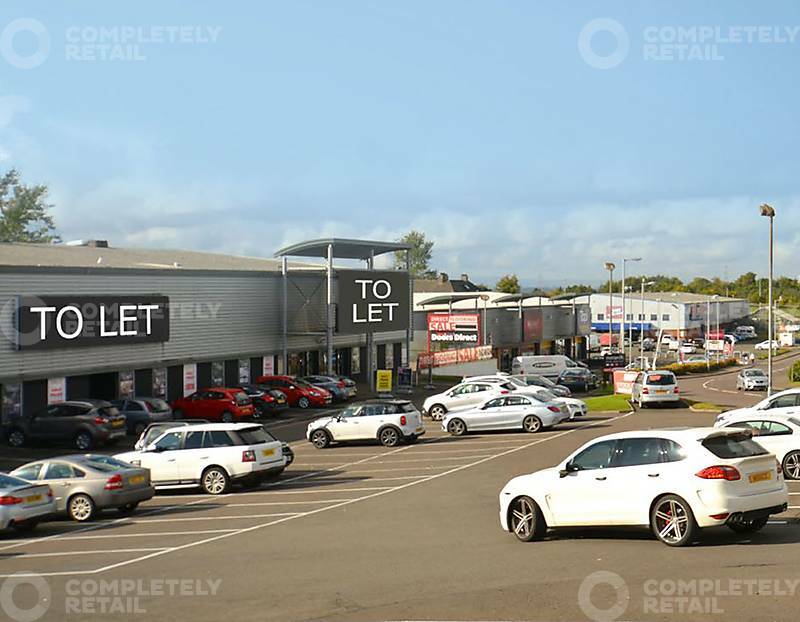 Occupiers within the Park include Sterling Furniture, SCS, Currys/PC World, Sleepright, Carpetright, Pagazzi, B&M, Poundstretcher, Dunelm, Harveys, Dreams, Archers Sleep Centre, J&W Carpets, R&J Leather, Bensons for Beds, Tapi Carpets and Harry Corry.